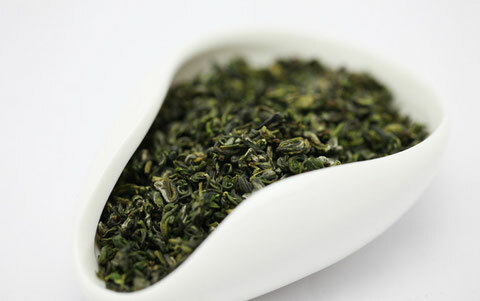 Song Luo tea is from Song Luo mountain located north of Xiu Ning town in Anhui province in China. 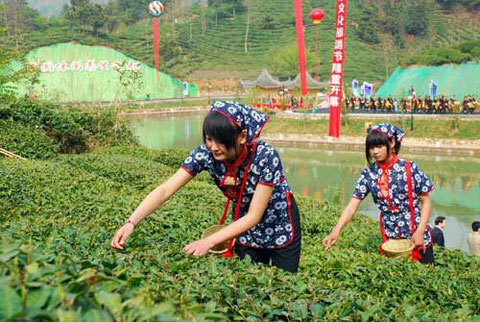 Xiu Ning County is the hometown of organic tea in China, holding abundant products resource. It is situated at the north of the central Asia tropics, so the moist climate condition is good for the growth of the forests, the tea, the fruits and the crops. At present, the area of its woodland is about 150 thousand hectares, the amount of growing stock is 4.5 million cubic meters, and the percentage of forest cover reaches 80%. 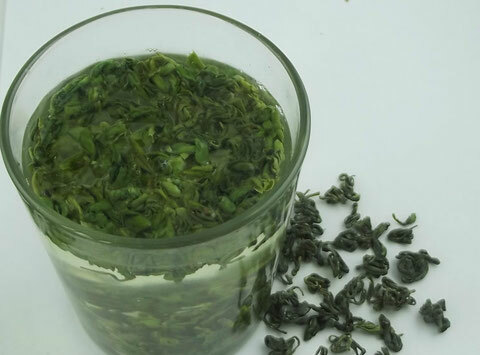 As “the first exporting county of green tea in China”, the government of Xiu Ning in recent years has insisted on a strategy which is to “lift green brand, walk green road”, and has gained remarkable effect. The county has been ranked as “state organic tea standardization demonstration plot”, “demonstration base of nuisance free tea producing county” successively. 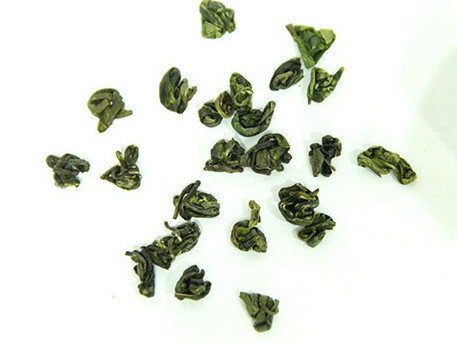 The area of the organic tea gardens with the issued certificates, the exporting amount of Green Tea and Mei Tea all take the first place among the counties in China. 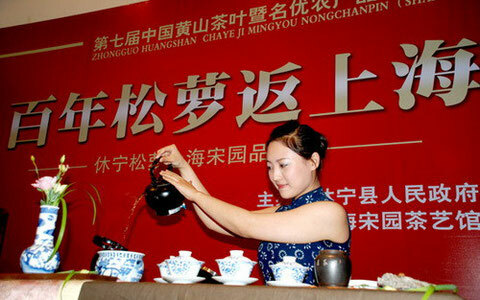 It has more than 1,200 years history of making tea, producing traditional famous teas of “Lang Yuan Song Luo”, “Bai Yue Huang Ya” and “Jing Long Que She” etc, and some good tea of newly opening out such as “Xin An Yuan Yin Hao” and “Song Luo Shan"